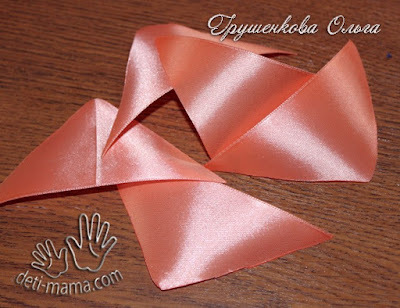 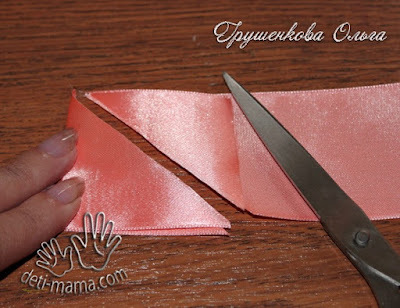 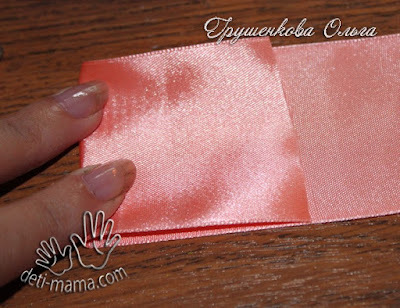 1 satin ribbon – 5 cm wide. 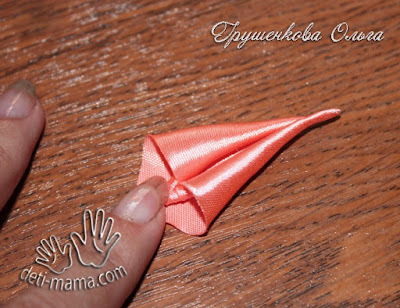 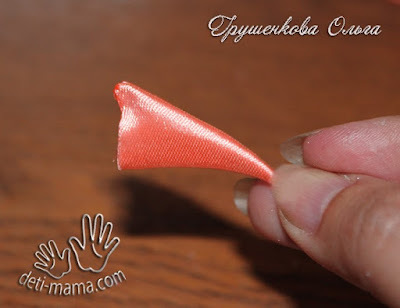 cut it diagonally, so as to obtain a large triangle. 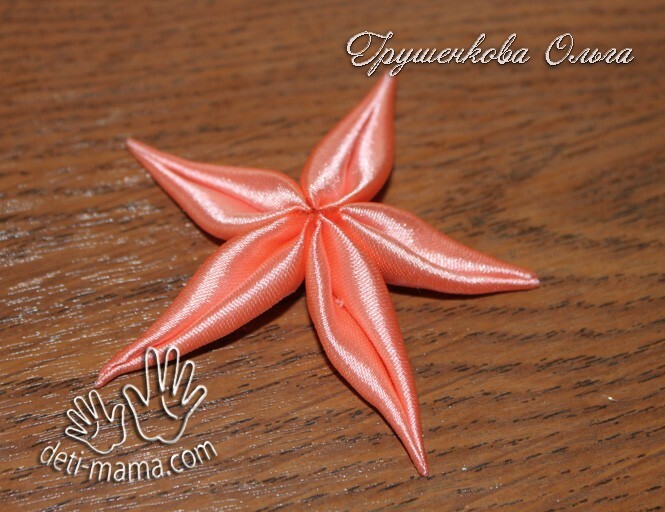 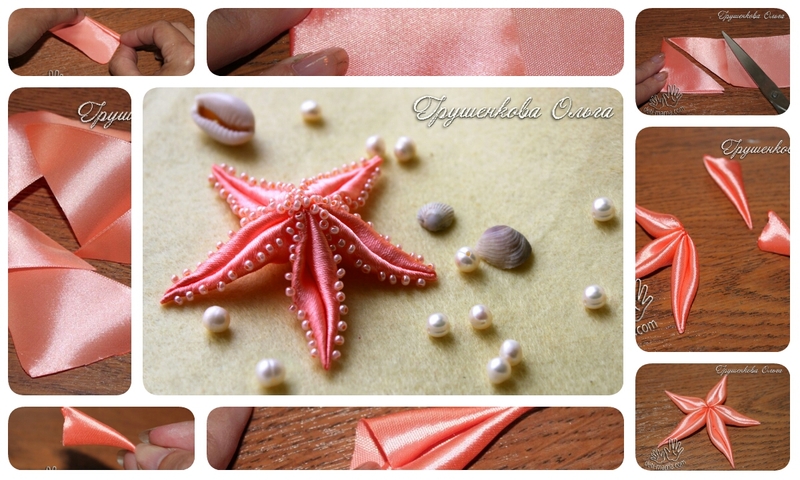 In order to make a spectacular sea star, add beads. 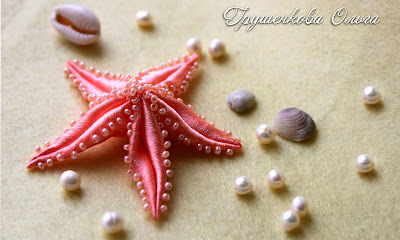 Just sew beads on the edge of a ray.